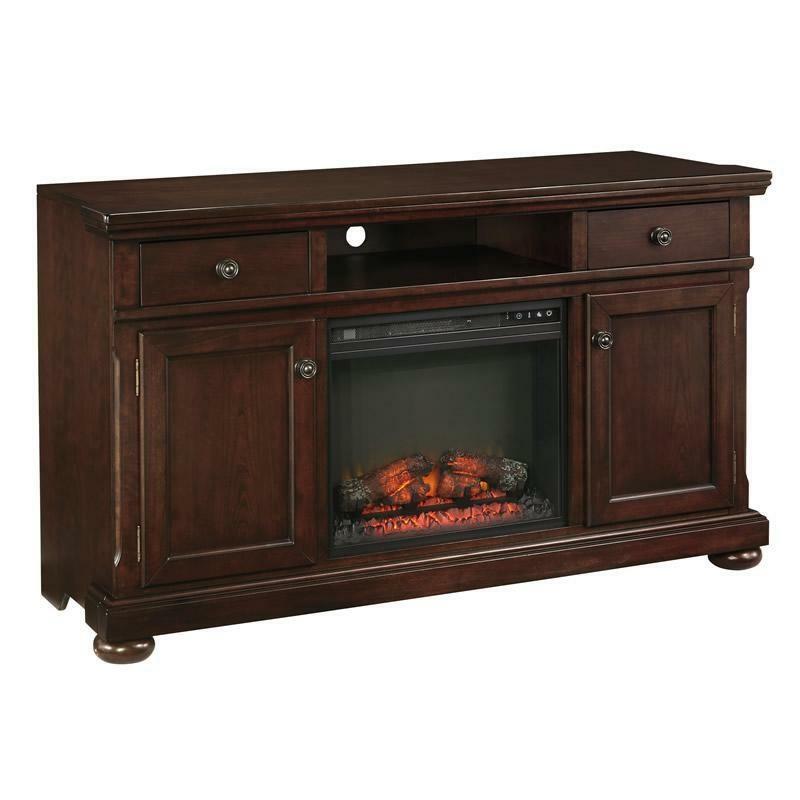 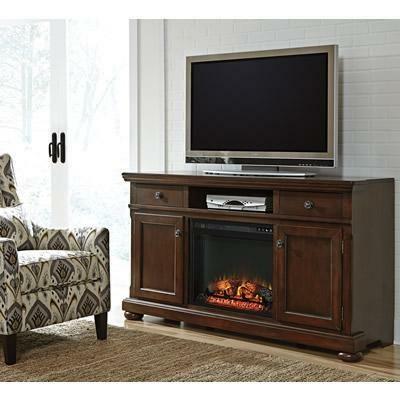 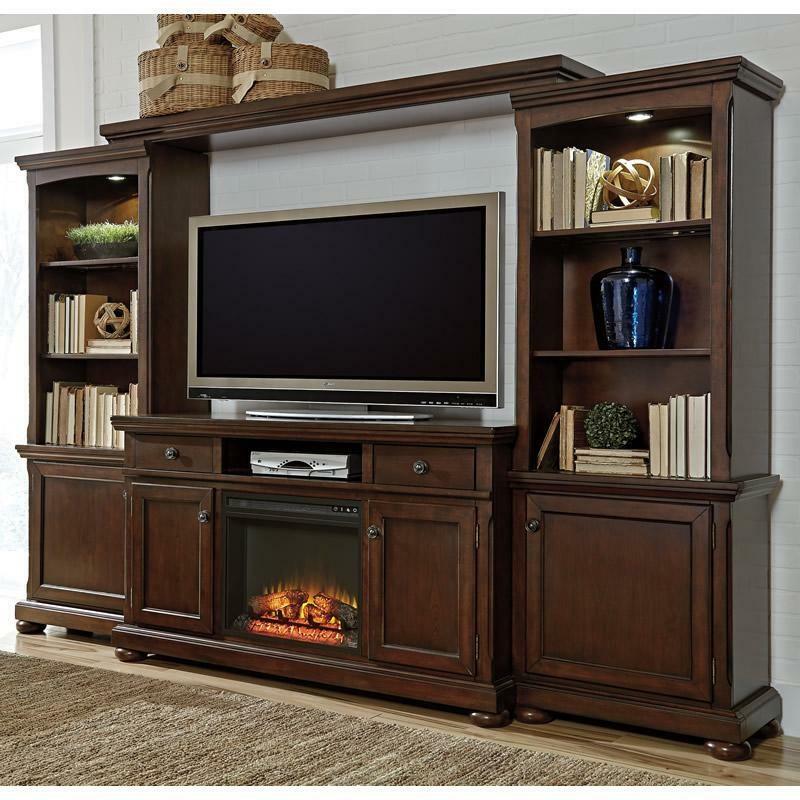 With a rich rustic beauty radiating from the stylish details, the "Porter" extra large TV stand, with fireplace option, flawlessly transforms the atmosphere of any living room environment. 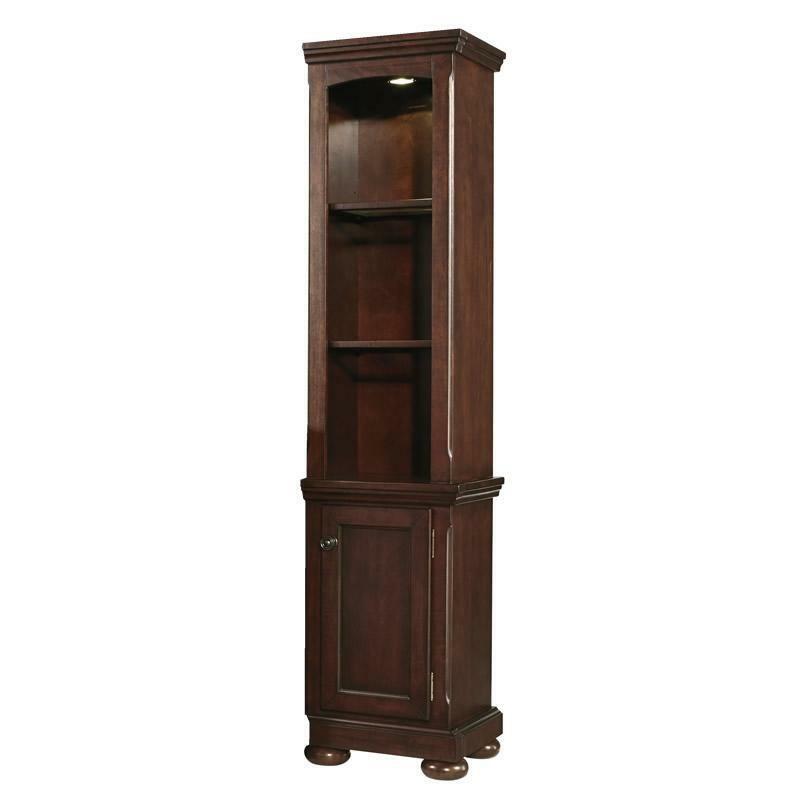 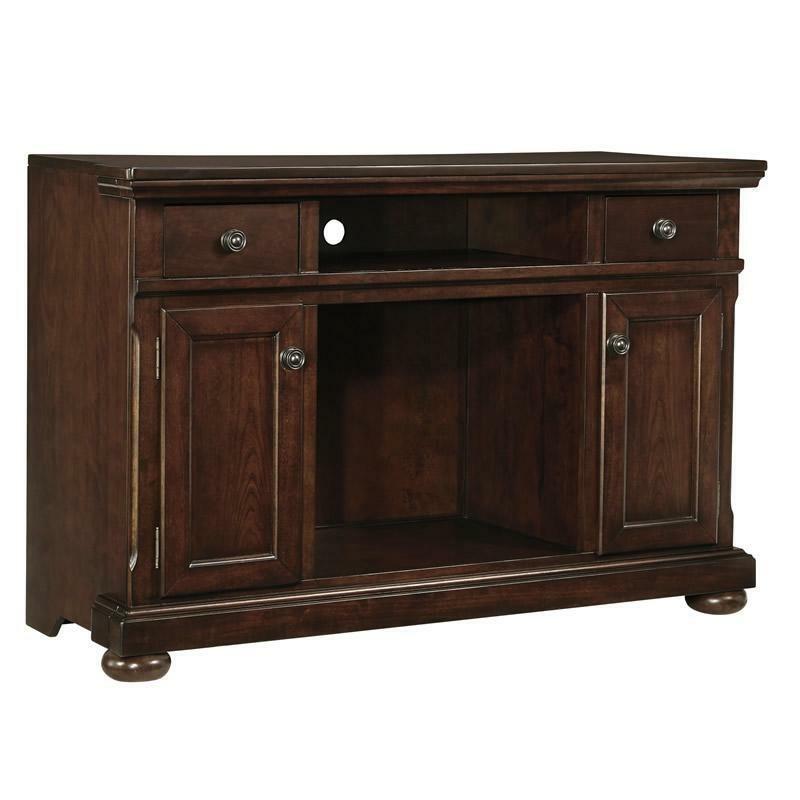 The select cherry veneer is beautifully bathed in a burnished brown finish that flows over the framed details and turned bun feet to create a piece that perfectly captures the ideal of rustic design. 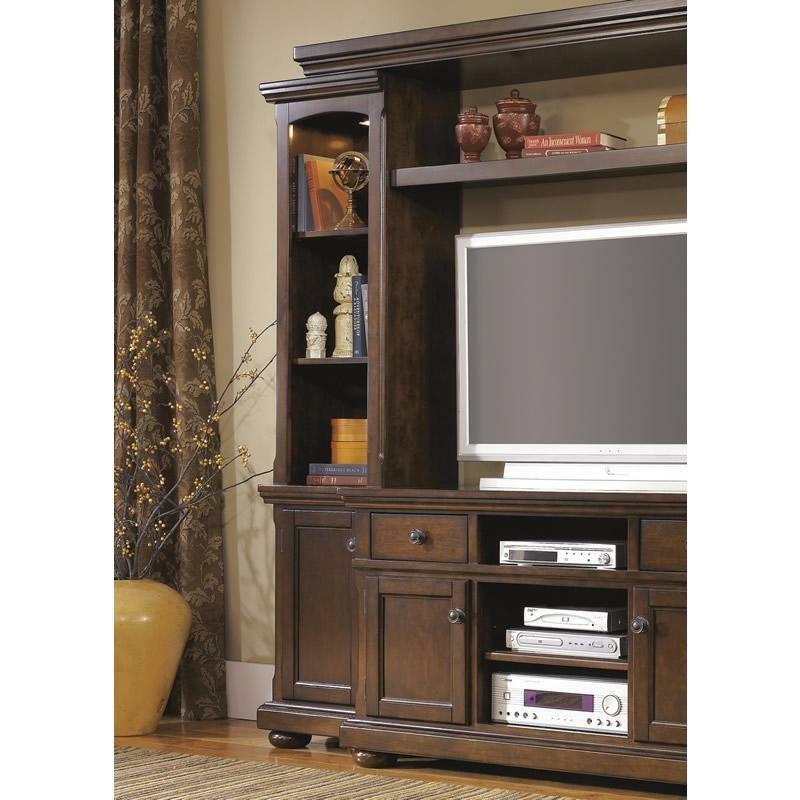 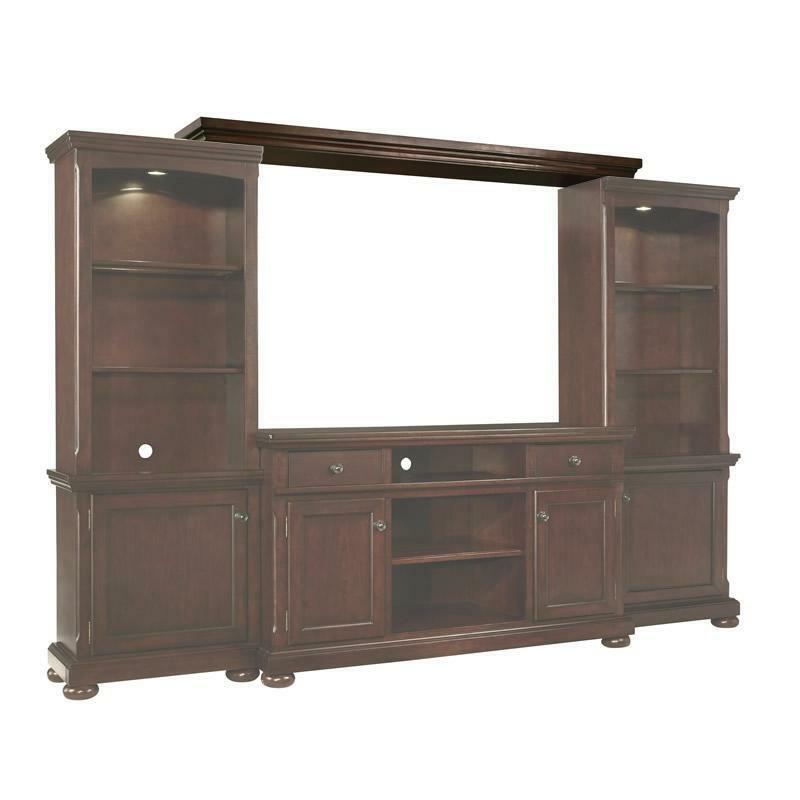 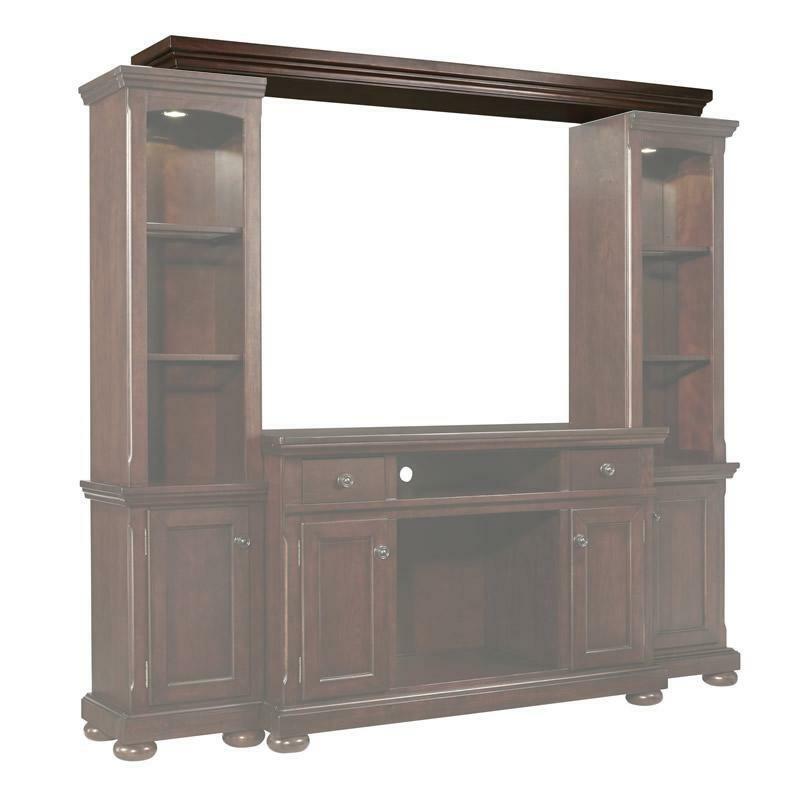 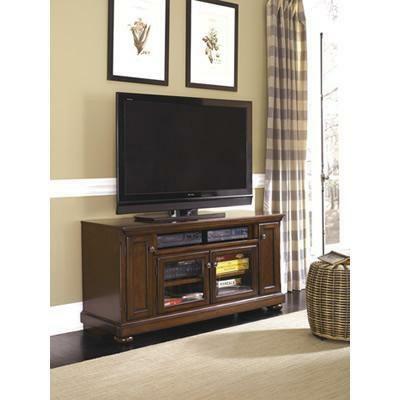 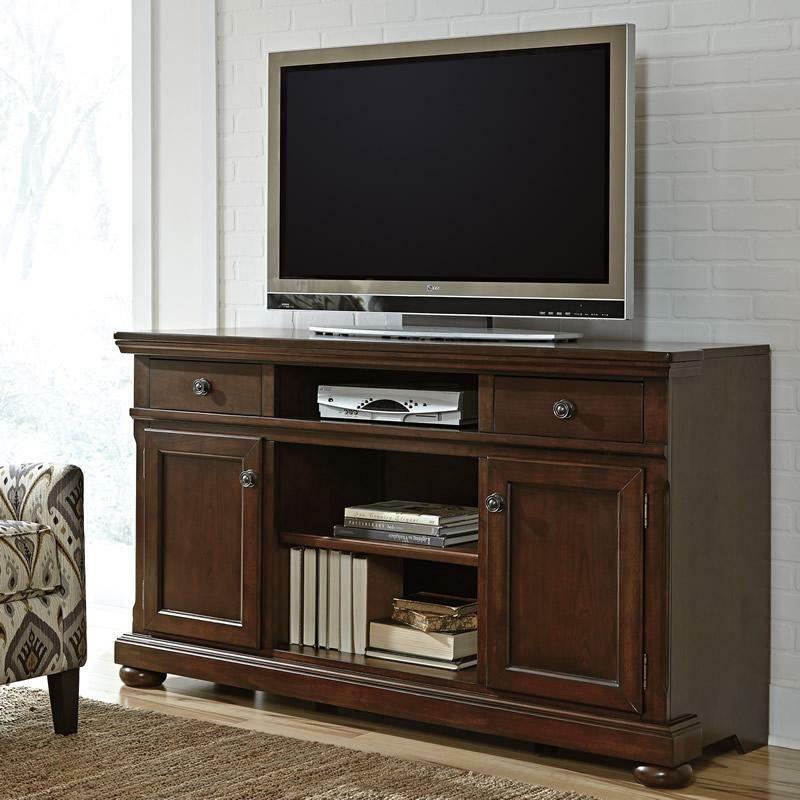 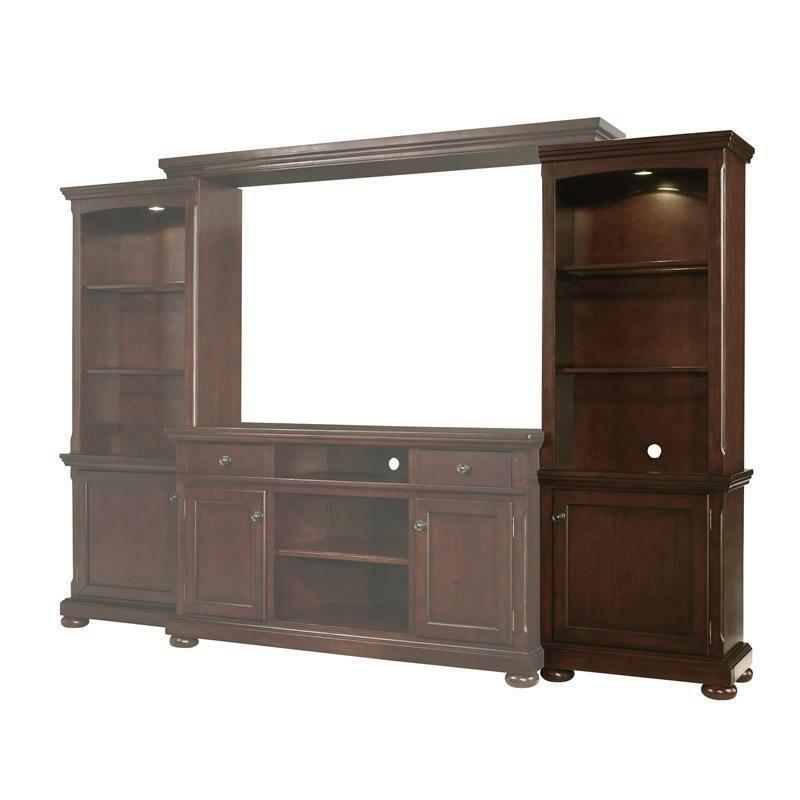 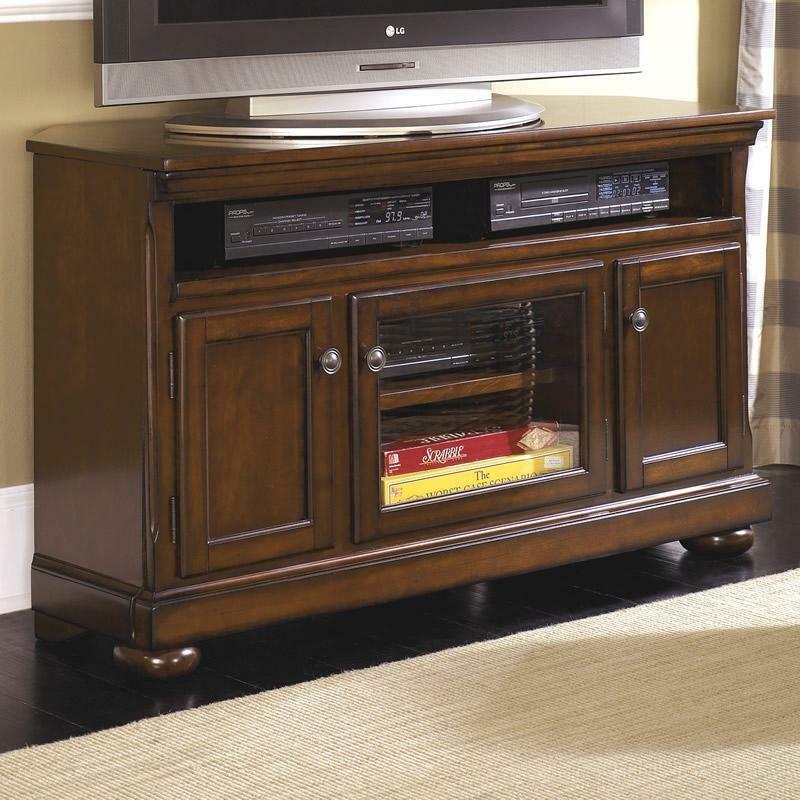 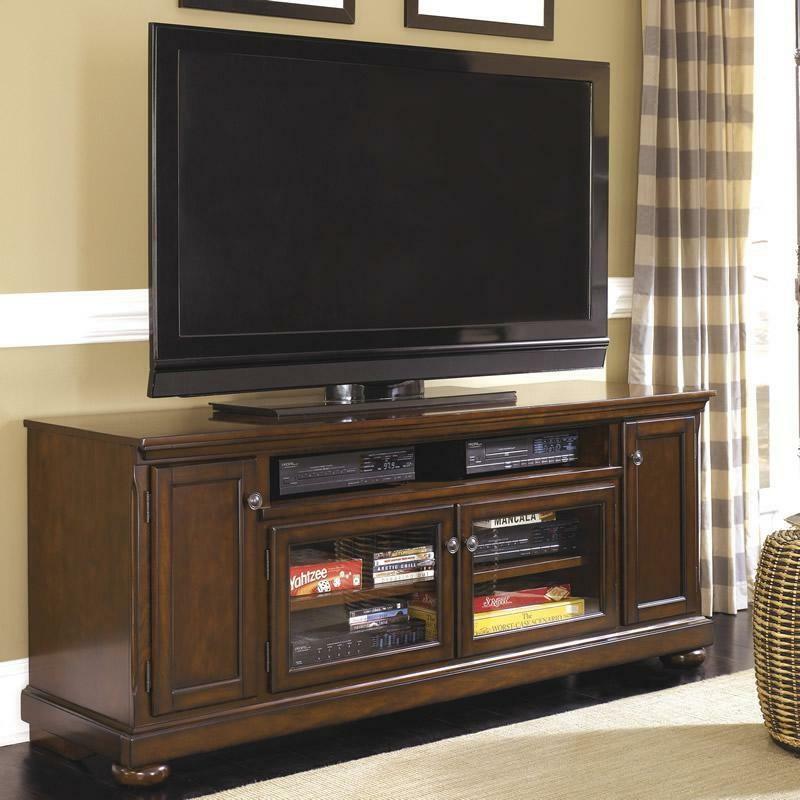 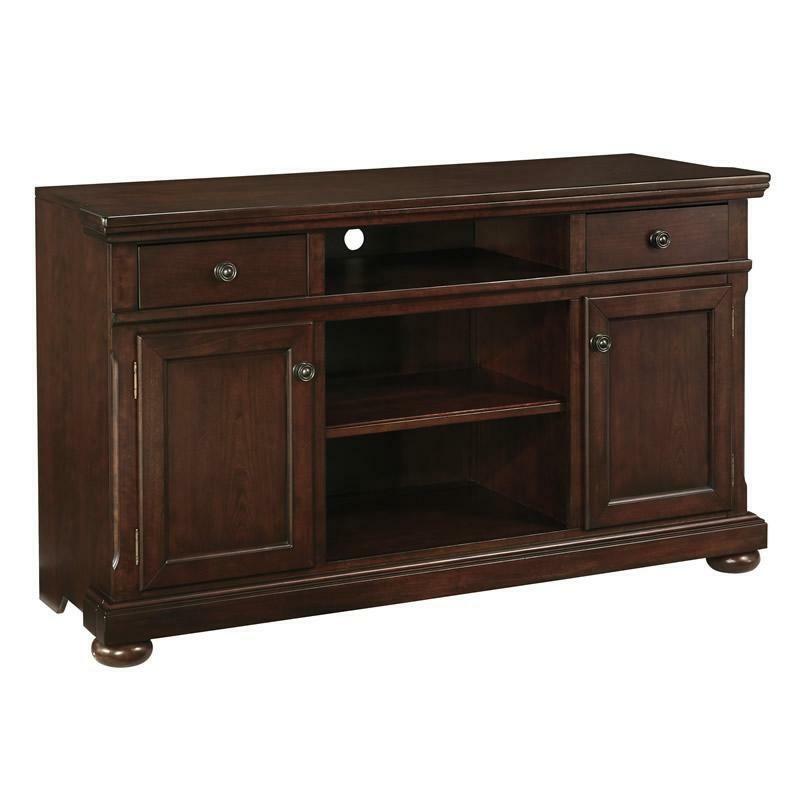 With the dark bronze color finished hardware and ample storage space, the "Porter" TV stand is as functional for your living area as it is stylish.